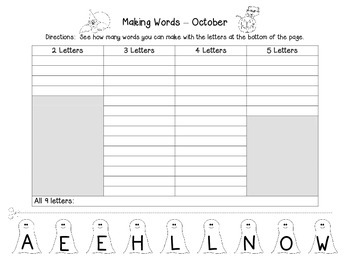 This is a great activity for kids to work on when they are done with everything else, as word work or a whole class activity. 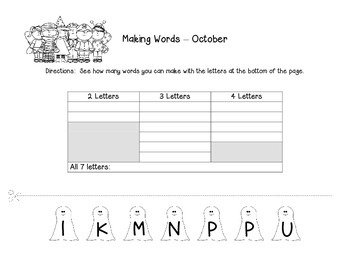 The file includes a printable for the class and an answer sheet for the teacher. This is a freebie, which will soon be a part of a monthly making words activity set. Remember to leave feedback to earn credits towards future purchases! You can follow Two Snappy Gingers on Facebook at https://www.facebook.com/twosnappygingers for notifications of new products and upcoming sales. All new products will be 50% for the first 24 hours they are posted. Please rate them if you download. Thanks!